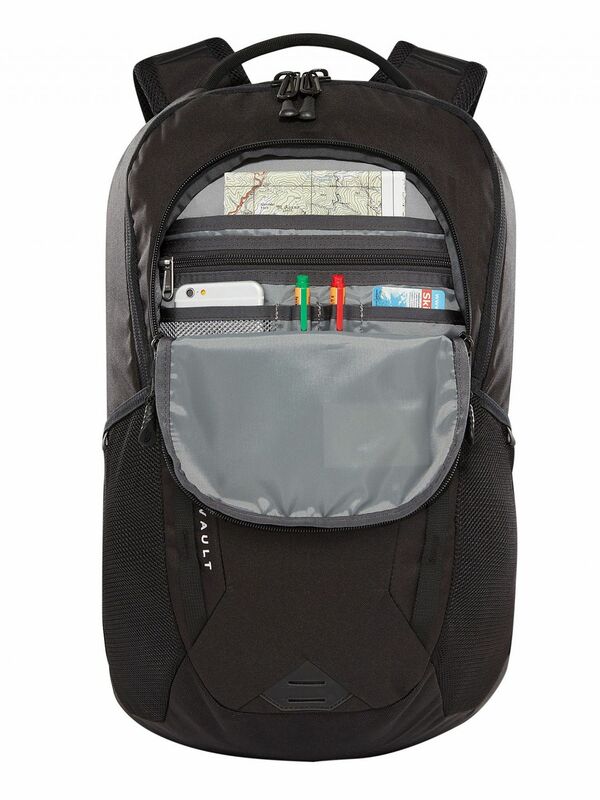 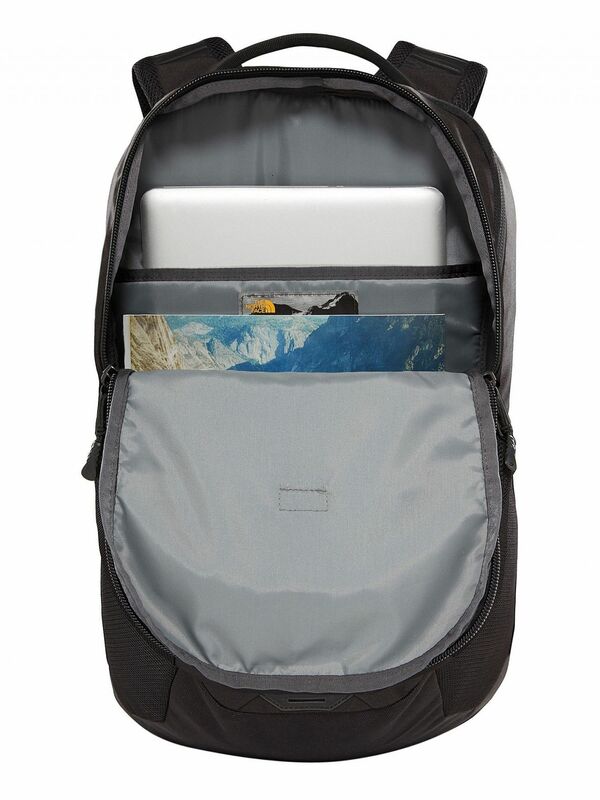 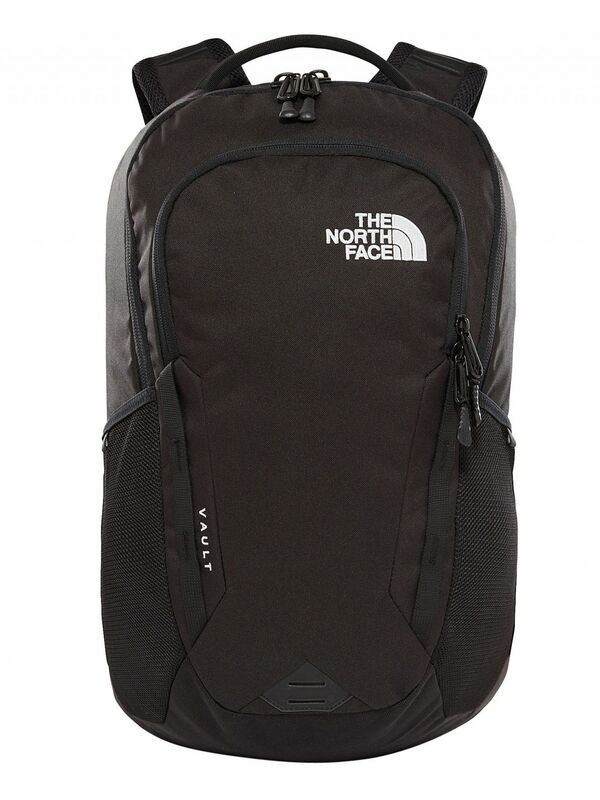 The Vault Backpack from The North Face comes in Black colour, featuring a large main zip compartment with a 15" laptop sleeve, as well as a zip front compartment with a zip pocket, Velcro sleeve and small pockets. 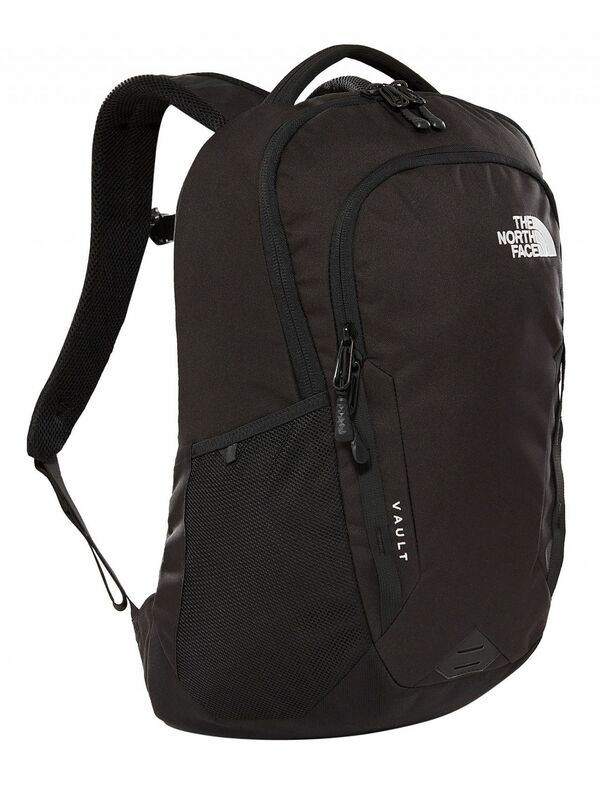 With mesh side compartments and padded adjustable straps with a clip, this backpack sports an embroidered logo on the front. 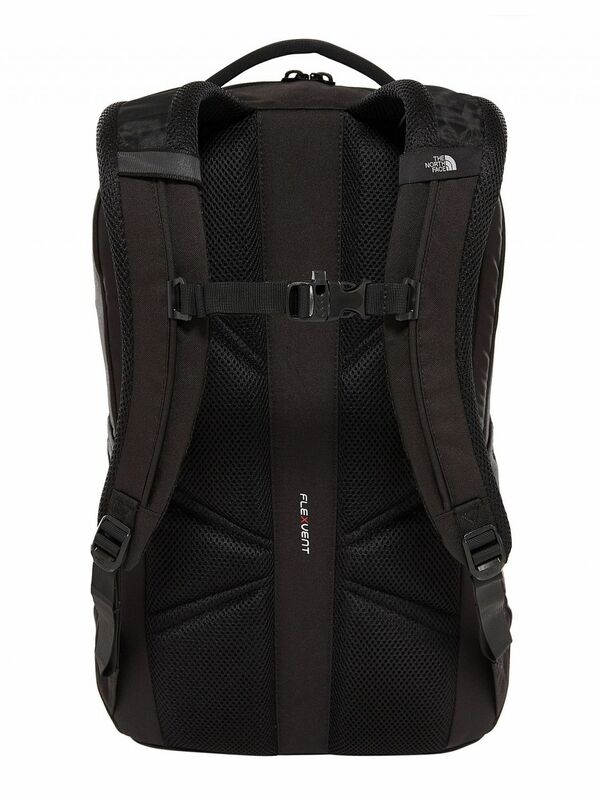 Size: 48.7cm x 33.5cm x 20cm, 26.5L.